We’d love to have you join us this Sunday morning. No matter where you are in life, we’re committed to helping you find answers to your questions, understand God’s word and live out the gospel. Stop by the Welcome Center in our foyer to pick up a guest packet and a free book called, “The Gospel.” Our Red Carpet team will be there to greet you and answer any questions you might have about Faith Baptist. Our mission is to develop disciples of Jesus Christ and equip them for growth and service. We are all about proclaiming a cross-centered gospel and living cross-centered lives. 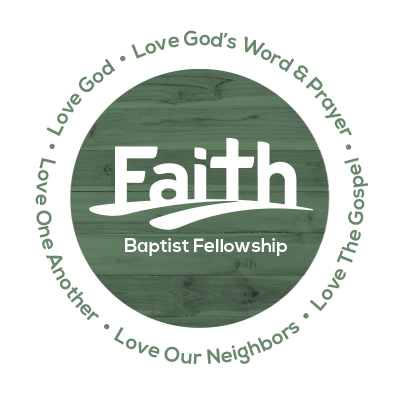 We are a multi-site, multi-generational church living out our 5 Loves & 5 Commitments that guide everything we do at Faith Baptist. They start with our love for God and show how His love flows through us to each other and our neighbors.